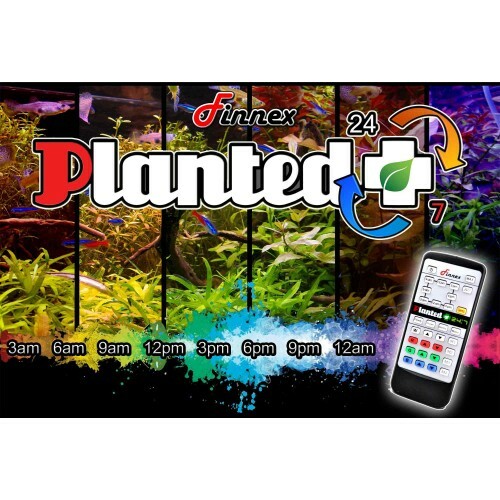 Finnex 24" Planted 24/7 Automated LED with Controller allows a hands free simulated sunrise & sunset to take effect atop user's aquariums. The 24/7 feature starts with a cool lit dawn, transitions in to a warm sunrise morning, followed by an intense color blazing high noon, scaling down to a red sun drowned sunset, and finishes with a starry night blue moonlight. The cycle will repeat itself in real time, hands free, the following day. The 24" fixture has 48 7000K LEDs and 24 RGB LEDs for a total of 16.9 watts! It is also equipped with a remote that allows day elements such as a Thunderstorms, Cloudy Days, Sunny Days, and Moonlights to be activated with a click of a button. 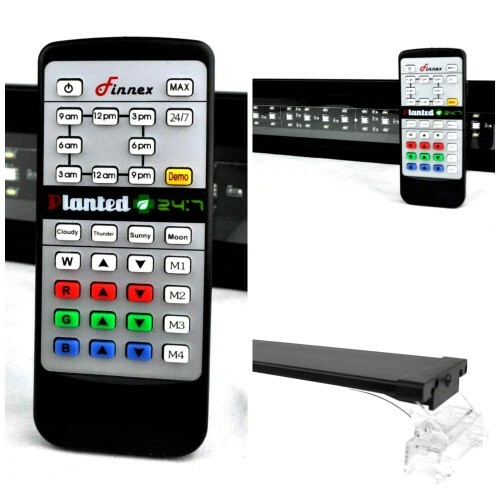 Also accessible via the IR controlled remote are four (4) memory slots in which a user can easily customize and save countless color combinations and lighting intensities if the user does not want to use the 24/7 feature. 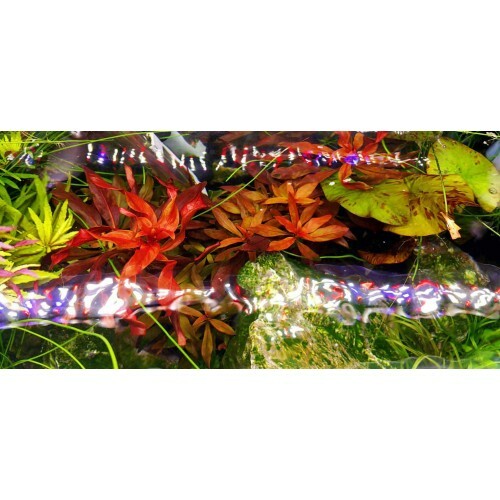 In addition to the dimmable Red, Green, and Blue LEDs, the fixture also incorporates the 7,000k Daylight LEDs that are the purfect spectrum to allow planted aquariums to thrive. 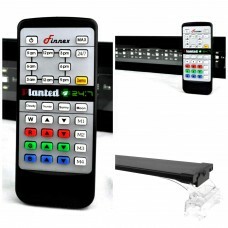 Equipped with memory, the fixture remembers last saved settings as to make it compatible with standard timers. 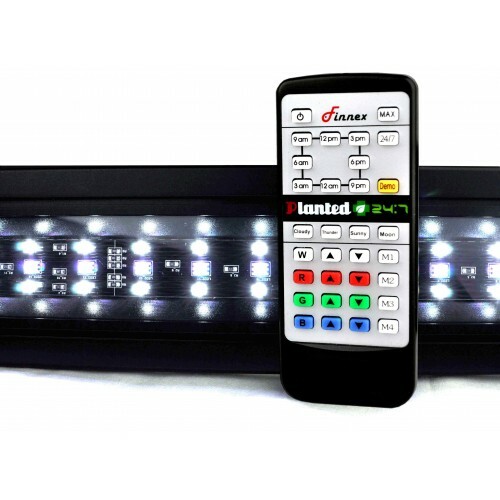 The fixture interacts with the controller via a water resistant IR sensor. The fixture's clear legs can slide inwards if need be to mount shorter aquariums. The legs feature screws capable of mounting rimless aquariums. 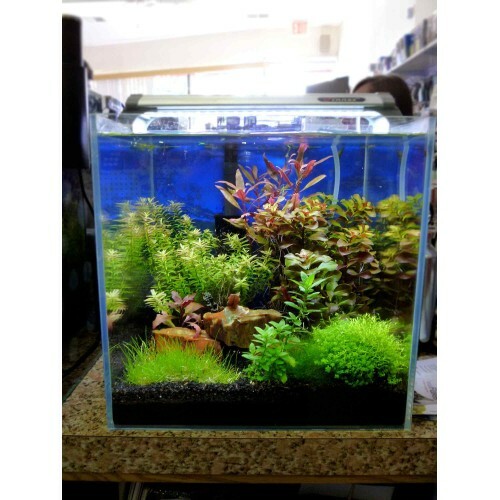 For those with larger rimmed aquariums, the legs also feature a removable inner portion to accommodate such a width. Built out of quality constructed aluminum and featuring a water resistant splash guard, the 24/7 was built with longevity in mind.